2. Click SMS templates on the left hand side of the page . 3. Click the Add Template button. 4. Provide a name for your template and type in the message you want to save. 5. Click Save Template to complete. 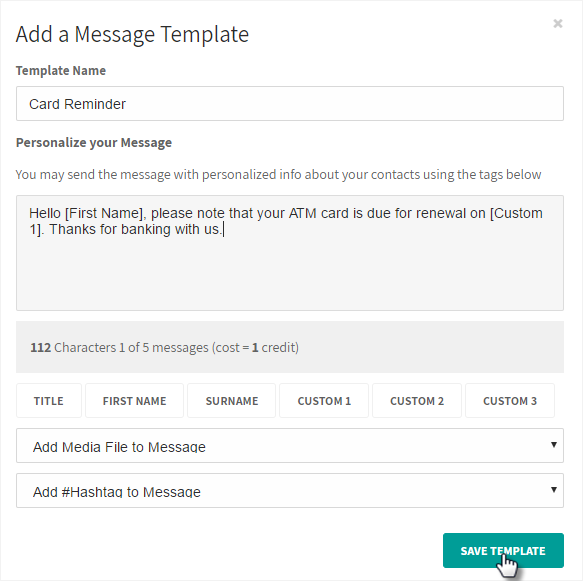 You can use this template whenever you are sending a message by clicking the Use Template button beside the message textbox on the Send SMS page.